Following the dramatic confirmation that a new, folding screen Motorola Razr is incoming to combat the Samsung Galaxy X, and then almost immediately getting a sneak peak at the phone's design in an official patent, comes our best look yet at just how special the rebooted Razr could be. As reported originally by Yanko Design, designer Sarang Sheth has created a series of stunning concept renders based on those official patent images that show the hot new folding Motorola device off from every angle, with its folding main internal screen as well as the secondary front-facing screen on show. Regular readers of T3 will now that this incredibly real-looking glimpse at the 2019 Moto Razr is just the most recent development in a story that began way back in 2016, with T3 suggesting that the Razr could be making a comeback. Then, in early 2018, Lenovo (who owns Motorola) CEO Yang Yuanqing strongly hinted that the firm wanted to refresh and reintroduce the Razr design. 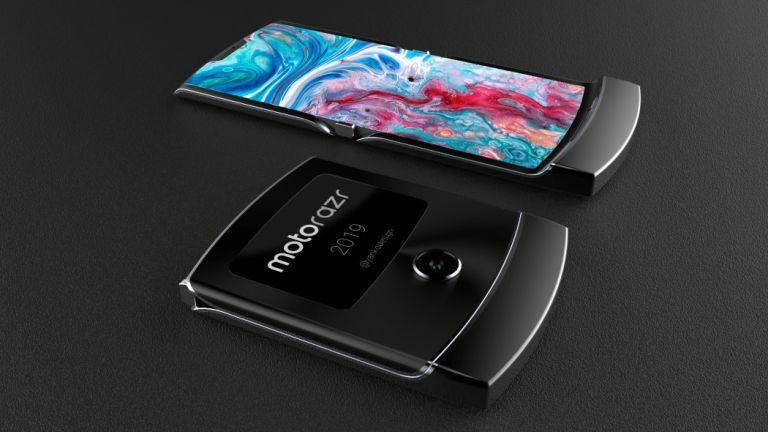 This was soon followed with the revelation that Motorola had filed a patent for a foldable smartphone, as well as a further series of whispers, leaks and concepts of the new device, with a notable example being the Razr V4 design from last August. It was only two weeks ago now that The Wall Street Journal added the icing to the Razr 2019 cake when it confirmed that the iconic handset is making a return this year and that is could be unveiled as early as February, with many commentators suggesting that we could see the device at Mobile World Congress 2019. The new Razr won't be the only folding phone at this year's show. There are also rumours that we'll see the Samsung Galaxy X, an as-yet-unnamed second Motorola folding phone, Chinese manufacturer Xiaomi's MIX Flex and the amusingly named LG Bendi. There'll be no bendy iPhone, though, because that's been done already.